My son Micah was born with Down Syndrome in August, and you have been such an inspiration to me. I've also recently started a blog as a way to process and vent and share my joy. I don't know anything about blogging etiquette but I was wondering if I could include a link to your page in my next post? Tara?......I'm trying to look at the store but I'm being asked for a password.......How do I register?? 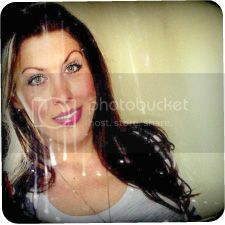 My name is Lisa MacIntosh, I'm a Toronto area portrait photographer. I currently offer my services to the Ronald McDonald House, Toronto and Hamilton as well as Habitat for Humanity. I am writing this evening to offer any services you may require...and offer them gladly. I would really like to meet you, and Pip of course. I have started a company called Living Out Loud that, in short, promotes the awesome that is this group of people. You can visit our website www.livingoutloudcanada.com or our face book page, livingoutloudondisplay . It would be fun to brainstorm what is possible. My husband and I have a two and a half your old son, Logan, who has Down Syndrome. And we have one in the oven lol. Its a much longer story but we ll save that for another day. And! I, along with a couple other groups, are cooking up an event for National DS awareness week this year, Nov 1-7, maybe you d like to participate. It is all in the planning stages but I d love to hear your ideas. All my contact info is on the site and on the FB page. Enjoy the last bit of snow, soon it will be hot. Hey! Just want to say congrats on the awesome shop! Quick question, I'm trying to figure out how to put in a request for a custom order from Painting Outside The Lines and can't figure out where to do it. I would vote for your little girl a million times over for that billboard!! Not only is she purely beautiful the message goes out to all people!! After reading your finalist board on indie 88.1 I have been voting for you every day! I am Angela R another finalist right beside you on the computer. When reading I couldn't help but to read more and more about you and your family Pip  I am “different” too! When I was younger me and my twin sister had to wear eye patches just like you! Big people always used to stop us when mum took us out to play. Mum doesn’t talk much about it now but tells us that people always used to stop her and tell her how cute we both were. My mum just like yours loves you so much because you are YOU! Now that I am big, people still say I am different because I love my girlfriend. I love her so much and she loves me! See Pip everyone is different in their own way and being different does not mean it is bad. I think it actually means the opposite. People are curious and might not know how to ask your mum how very special you are, SO I think this super, gigantic, big billboard for all your friends to see is a building block for your happy soul project and to tell them all! (What makes you different, is what makes you beautiful  )I hope someday me and my girlfriend and sister can be friends with you! AND see you on TV when you are on Ellen! She is my favourite!!!!! She is so nice and funny. Good luck Pip! Well done! I cant stop smiling!!! my name is Audrey. I live in Georgetown Ontario. My son Julian was born on April 25th, 2014, a beautiful 7.4 ounce baby boy who also happens to have down syndrome and requires heart surgery in 4-6 months in Toronto at Sick Kids. I know you understand my world right now. My sister came across your blog and Pip's amazing Billboard win and passed it onto me. How fantastic! How powerful! You and your family are a gift to this world and a gift to me and my family in a time of need for hopeful, happy, success stories. I will be your newest fan and follower. God Bless You and your Family. How do you get your daughter to keep her glasses on? I have an almost 3 year old with the same type of glasses and she refuses to keep hers on, any tips? I just found your blog through awesome Kingston. I am a momma to two complete lovely holligans as well, and I am so glad that someone like you is residing in this city!!! I have been following your blog for about a year now, your posts are so wonderful, and your life motto is beautiful (along with your family)! I recently started a blog on young adulthood - it covers everything from cooking for food intolerances, transitioning into young adulthood, battling what life has to throw at you, but the most important (I think) is incorporating positive thinking into your life, and using it to inspire others. I was wondering if you'd like to be a guest blogger? I was thinking a post about how you stay positive to get through those tough days, and if/how positivity has changed your outlook on life. You can email me at annie.szczygielski@gmail.com if you're interested. Thank you again for the great reads, and for sharing your life with others. Love you, love the blog posts...My question is with everyone calling Reid 'pip', do you think she will grow up thinking her name is Pip instead of Reid? I always hear everyone refer her to this nickname all the time. Does she know the name Reid as herself, or rather Pip? I so badly wanted to go to the Kick-it-Capes Sewing Bee, but all tickets are sold out. Is it possible that you will ever do an organization like this again. I love reading all your posts, they inspire me to look at life differently and appreciate all the small things that I take for granted.Thank you. Yeppers...The plan is to hold this event once or twice a year - so hopefully you can come to the next one!!!! You may not remember me, but I have fond memories of us swimming in your parent's pool in the backyard w Eric, and doing dance routines in Angie's living room. That visit to Windsor must have been well over 20 years ago, and look at you now! I can't believe I haven't read your blog sooner, but let me assure you I am all caught up from the late night marathon binge reading I did last night lol. Your blog moved me to tears Tara, and your attitude and spirit has been awe-inspiring to say the least. You have an adorable family and I can't wait to see pics of your newest addition! Congrats on everything! P.S - We went to visit your parents this past wknd at their house, and they are the sweetest, warmest, kindest people - exactly as I remembered them! Next time you guys are in Toronto, let's plan a visit! My name is Trisha and I am mom to Aria over at Aria's Surprise on facebook. We must connect!! :) Today we put in our first order for your onsies that say "Show the World Your Magic" but we were only able to order 3. I believe you are now out of stock, and I am curious if/when you will have more available. We are needing these onsies for our gift baskets for families that receive a DS diagnosis for new babies in our area, and for all special needs diagnosis's in the far north where my roots are. Let me tell ya, it took me forever to decide what onsie from where should be included in these special gifts, but this one is just perfect. You can contact/message me via our page please, as I would love information as to how we can speak further regarding our baskets. Thanks so much and have a great day! !